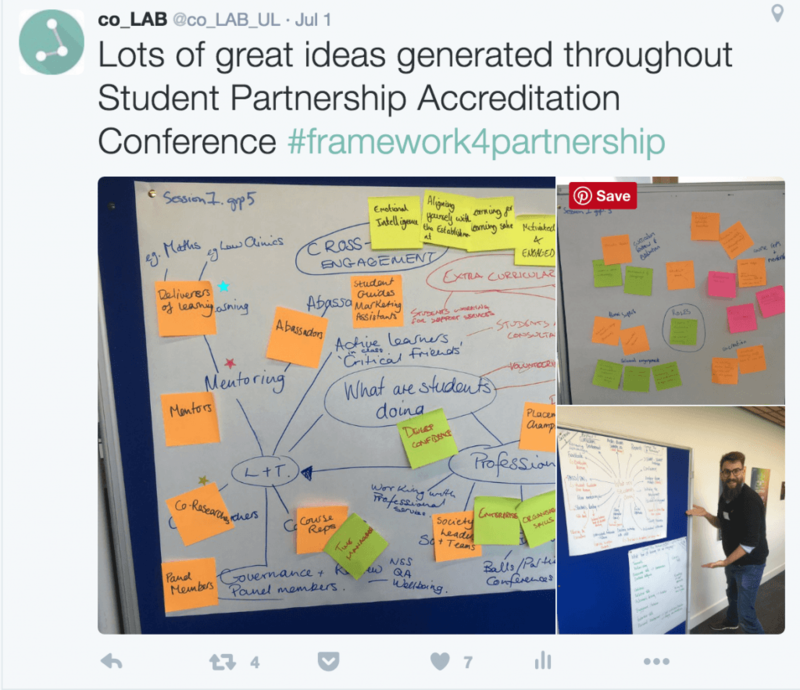 The co_LAB team were recently invited to contribute to the Partnership Accreditation Conference, which was hosted by the Department for Curriculum and Quality Enhancement, University of Portsmouth, July 1st. This event was a 1-day collaborative developmental conference that brought together staff and students from academic institutions all over the UK, alongside national educational bodies (HEA, SEDA, TSEP, RAISE, JISC and NUS), to begin the process of developing a national (and possibly international partnership) accreditation framework for collaborative partnerships. The purpose of the conference was to explore what an accreditation framework would look like by considering good practice in existing institutional partnerships and accreditation models. How are students facilitating learning and teaching within the University and externally? What kinds of roles are they engaging in when they do this? 2. What kind of learning are we trying to recognise and value in students who are facilitating learning and teaching within the University and externally? What are students demonstrating when they engage with these criteria? Are students engaging with more than one set of accreditation criteria? What is the distinction between engaging with criteria benchmarked against learning and teaching and self assessment criteria benchmarked against learning gains ? What is the relationship between these different sets of criteria? To what extent would a Partnership Award add value for students ? 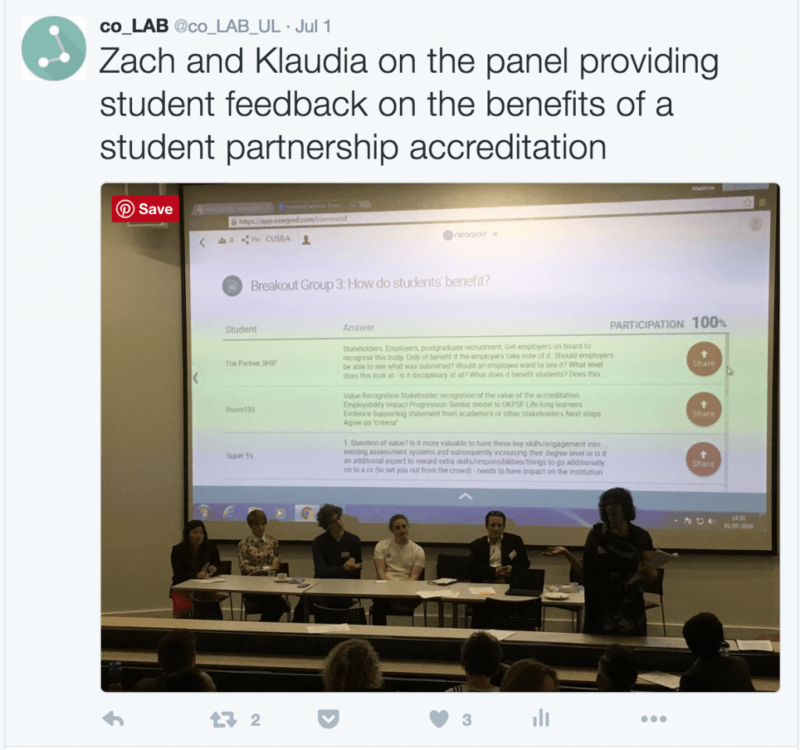 What kind of progression could there be in a student partnership award? What kind of evidence and reflection would students provide in each level/tier ? How is the award parcelled/packaged and why? What needs to happen next in the development of this framework?